Barcelona have confirmed that Neymar will sign a contract extension with the club this Friday. The new deal will keep him in Spain until June of 2021. Sky Sports also report that Neymar’s new contract will contain a buy-out clause of £181m during the first year of his contract. The buy-out clause will increase up to £200m during the second year, before finally reaching £226m for the rest of his contract duration. Neymar joined the Catalan side in 2013 for a controversial £71 million transfer fee. But he has since cemented himself in the first team squad. He plays as a left winger in Barcelona’s iconic MSN (Messi-Suarez-Neymar) attacking front 3. Since his arrival in Spain, the Brazilian has played 149 games and scored a total of 90 goals – 15 in his first season, 39 in his second, and 31 in his third. This season, he has scored 5 goals in 8 games. The 24-year-old came third in the Ballon d’Or 2016 race, behind Cristiano Ronaldo and winner, Lionel Messi. 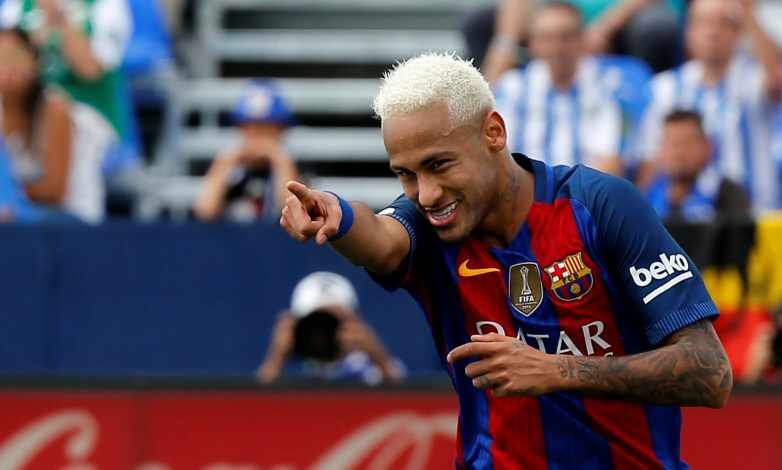 Neymar has played a crucial role in Barcelona’s attacking and possessive style of play. He has helped the club win almost every trophy imaginable. During his time at Barcelona, Neymar has aided the team in winning 9 trophies, including a UEFA Champions League title. At the age of 24, Neymar is just 1 goal shy of 50 for his national team – incredible stuff.